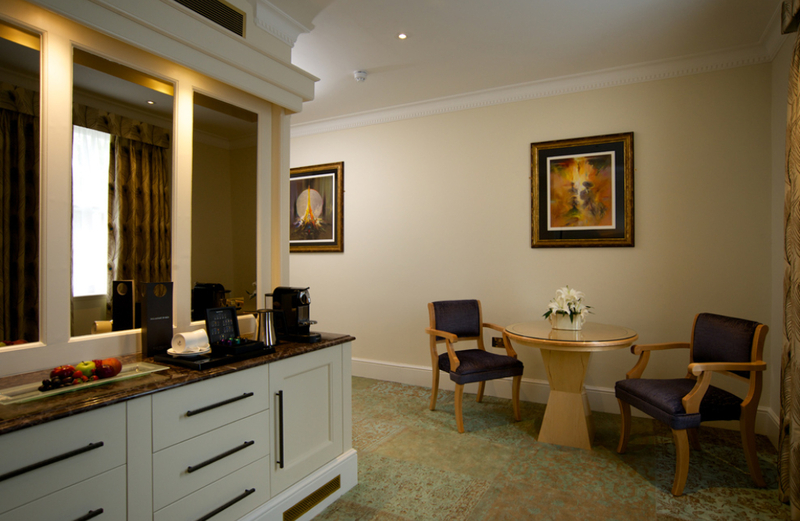 This spacious suite is named after the Reverend John Halls, who originally purchased the land and built the main core of GreyFriars in the 18th Century. 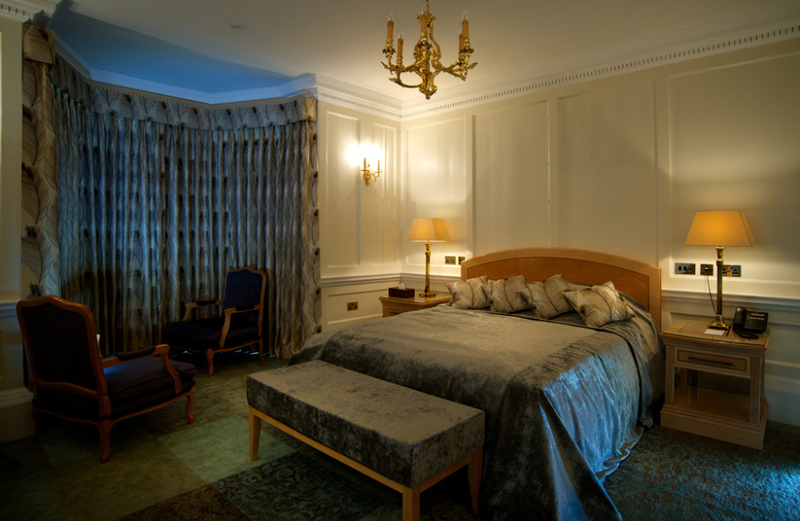 The suite is fully panelled, with significant cornicing and joinery, but with a plainer, more masculine feel when compared with the ornateness of the Elizabeth Suite. The bedroom retains its original fireplace with heavy grey marble surround and the charming bay window with original working shutters offers a light and sunny seating area. A small passageway by the side of the fireplace leads to the Sitting / Dressing Room which also has its own dining table for in room dining or away from home working. 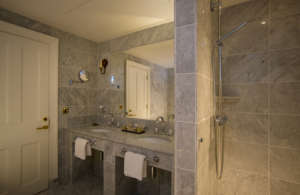 From there you will find the spacious marble bathroom, with bath, shower and twin vanity units.